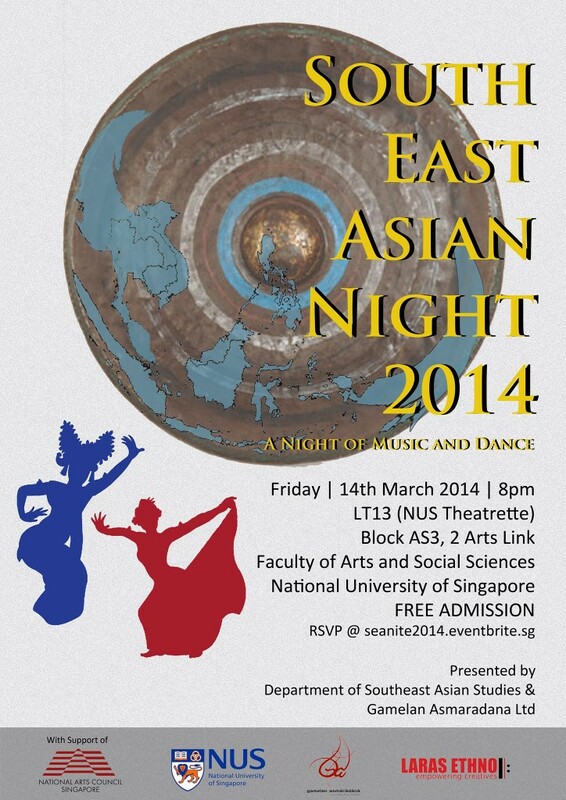 Join us for a fun-filled night of Southeast Asia music and dance on Friday 14 March 2014. Presented to you by NUS Southeast Asian Studies and Gamelan Asmaradana Ltd., this performance will feature the meditative sounds of Central Javanese gamelan, the dynamic explosions of Gong Kebyar of Bali and the flirtatious ‘twerking’ of West Java. Tickets are to be collected at the door 30 mins before showtime.